Poet, actor, literary editor, and educator: José Angel Figueroa has dedicated his work to recounting and bringing awareness to the Latino experience in the United States. In 2014, the Instituto de Puerto Rico in New York honored Figueroa with its distinguished award for his achievements as a poet and educator. Figueroa is best known for poetry that reflects searing social commentary and is one of the poets associated with the early years of the Neorican literary movement and the Nuyorican Poets Cafe. Whether narrating about the conditions that force people to leave their home countries or the battles to adjust to life in the U.S., Figueroa captures the hardships and triumphs of the journey and poses broader questions about the human condition and the state of the world. A master of poetic imagery, storytelling and metaphor, Figueroa’s writings document a contemporary history and rapidly changing reality of the Puerto Rican and Latino Diasporas in the Americas. His books include Hypocrisy Held Hostage, Noo Jork, and East 110th Street, and his writings have been widely published in anthologies, literary journals and magazines in the US, Latin America, Puerto Rico, Europe and the Internet. Figueroa is also known for his work in the theater. 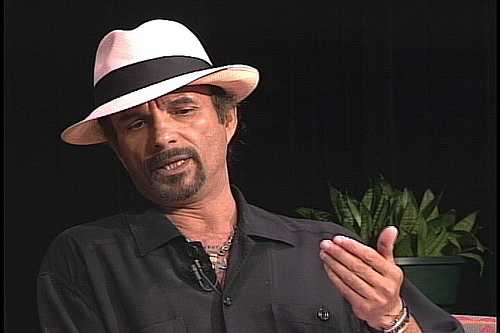 In 2012, he co-produced, wrote, and directed A Tribute to the Life and Times and Work of Piri Thomas, a multi-arts presentation at Hostos Community College. His play Transnightification was directed by Raul Julia at the Joseph Papp Public Theater and his jazz opera, King of the Crabs, was performed at Intar Hispanic American Theater. He also produced and directed The Grassroots Poets Series at Miriam Colon’s Puerto Rican Traveling Theater. A life-long educator, Figueroa has taught students of all ages in public schools, colleges and universities, community venues and prisons. His work as a children’s literature specialist and language arts consultant with public schools resulted in the editing and publishing of more than 66 volumes of original children’s and youth writings. Figueroa was born in Mayaguez, Puerto Rico and migrated to New York City with his family at a young age. He studied English Literature at New York University and earned a Writing Fellowship and M.A. from SUNY at Buffalo. Presently, Figueroa is a Professor at Boricua College in New York City. A GLOBAL society is necessarily a multicultural and multiracial society. This is the inescapable fact of our era. All over the world, people are on the move, colliding and commingling on a scale never seen before. Where will it end, and what will be the result of this greatest of all human migrations? What does the future hold for the tribes and nations of the earth? Through his poetry, Jose Angel Figueroa tries to answer this question. He has been grappling with it all his life. Born in Mayaguez, Puerto Rico and raised in the cosmopolitan milieu of the city he calls “Noo Jork,” Figueroa confronts the mystery of mingled blood, celebrating the unique blend of Arawak, African and Spanish genes which gave rise to his Puerto Rican people. Figueroa’s new book, A Mirror in My Own Backstage (Red Sugarcane Press, 2013), expresses the pain and hope of a colonized people seeking to find its place in a post-colonial world. Through profound and patient study, Figueroa mastered the English language and learned to use it to express the passions of his Latino soul. Thus does he transform the English language, that mighty instrument of colonization, into a tool of liberation for the colonized. More than thirty years ago, Prof. Figueroa kindly took time to encourage and advise me, at a time when I was struggling to find my own voice as a writer and poet. He has been an inspiration and role model ever since. I was deeply honored when Prof. Figueroa asked me to contribute the Foreword to his new book, A Mirror in My Own Backstage.